From the bean, and dirty hands, of Green Bean. It is that time of year again. 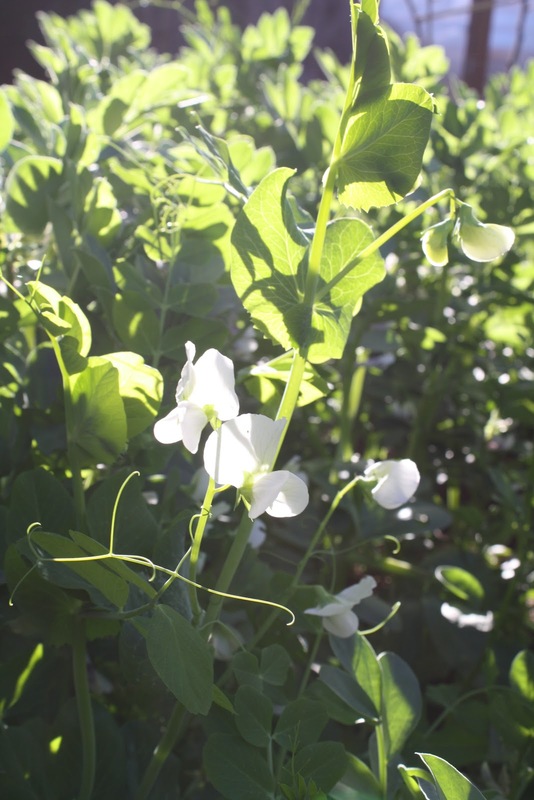 Whether it is three feet deep in snow or bustling with cover crop and fava beans, your garden is calling you. Seed packets have arrived or are en route. The sun is slanting, peeking out more from behind the crowds and the soil is waking up. But that is just the thing, if you want to have a truly successful vegetable garden, the soil is the place to start. You need to get, in a word, grounded. Sources differ on how much to layer or may add additional steps or layers. That's fine but it doesn't have to be complicated. I followed these steps as half-heartedly as possible last year and still moved from thick clay to loose, rich soil teeming with worms and other bugs. "Cover crop" is a term used for plants grown in a particular area to fix large amounts of nitrogen in the soil, provide a habitat for beneficial insects and choke out the weeds. I plant a cover crop ever fall, like clockwork, for the last 5 or 6 years. Sometimes, I couple the cover crop with sheet mulch. Sometimes, I just throw it on a vacant area in the garden. Cover crop can also be planted in the spring but as I have a smallish garden in a temperate climate, I stick with fall. My fava beans where next summer's pumpkin patch will be. I always do a cover crop bed of favas (usually where the pumpkins will grow because the timing works out) and a bed of mixed seeds from Peaceful Valley Farm supply. I am sure you can get cover crop seeds through most seed or farm supply outlets or at your local nursery. The mix usually includes vetch, peas, bell beans, clover, barley and so on. My mixed cover crop in late February. I cannot vouch for the amount of nitrogen the cover crop is allegedly "fixing" in my soil and I don't notice improvements in the soil or fertility as with the sheet mulch. I do, however, notice an increase in beneficial insects - mostly lady bugs - and other critters - a toad once! There are also fewer weeds and plenty of greens to feed the chickens over-winter. Bonus? I don't cut down the fava beans until we've eaten most of them (timing works with my pumpkin patch). I also harvest a number of the peas as snap peas before mowing down the cover crop (and adding it to the compost pile). Final plus to the cover crop? It's pretty. I first came across this idea on Pinterest. Basically, you dig a trench, put down some cardboard, then a pile of wood or sticks, cover with sod, then straw or leaves (if desired) and the top it all with soil. It sounds like the sheet mulching method but apparently the decaying wood creates (1) a warmer microclimate in the garden and (2) the bed requires little to no irrigation. My mini Hugelkultur bed - before the sod, straw and soil. See! I told you it was small. The latter interests me given the little rain our region has had this winter. So that, and the fact that we removed a tree this year, lead me to try out this "hill culture bed" on a very small scale. Supposedly, the bed needs to have wood stacked to a minimum height of 2'. I'm going to be very generous with my mound, call it 2' and assume that it is the thought that counts. Because new wood gives off a fair amount of nitrogen as it decays, I'm planting something that is not as affected by higher nitrogen levels - beans. I'll report back on my little Hugelkultur later this year. * Here's another link to Hugelkultur. My three wooden raised beds. Finally, if your garden is a temporary one, one that you'd like to get growing in mighty quick or if you just feel like it, raised bed gardening is a quick way to have have high quality soil in which to plant. I am a fan of raised beds for certain plants - like tomatoes (though I've grown these well in sheet mulched gardens as well) and non-potato root vegetables. My current garden hosts three wooden beds. I am adding one made of sticks and one in a large galvanized trough this season. I've also seen loads of ideas for using rocks, broken concrete, straw bales, and more to form raised beds. I am working on a raised beds bordered with sticks and branches. This one is in progress. I need to add soil and plants. Galvanized stock tanks with holes punched in the bottom make handy raised beds. So start planning summer's garden. Let your dreams take you wherever they may, as long as you start out grounded. ** I am linking to Homestead Barn Hop and FarmGirl Friday for this post. Yes I'm planning a whole weekemd in the garden, and have spent an hour everyday there this week. How it feeds my soul! and soom my tummy I hope. Great ideas. We just got a new home and big sunny yard I can't wait to get my hands dirty in! Love all of these ideas! We did not have a garden growing up, so I am learning a lot now. My husband is still the better gardener, but I love to dabble (and dream up big ideas)! This post is both inspiring and overwhelming to a total non-gardener like myself. Maybe I could handle that layering bit. Not sure I want to build raised beds. Green Bean, I would like to request that you write a post about the easiest possible way to get into gardening for someone who knows absolutely nothing. Maybe with some links to good resources -- I know there is tons of info out there online, but I don't want TOO much information, if you know what I mean. I do have friends who compost, so I could probably get some compost easily. Anyway, think small, almost always successful, fun for kids, hard to kill. Also, I love tomatoes. And we might only be in our current rental one more year. We do have a patch of dirt (probably once a garden) in the backyard. Thank you. fYI - I word to the wise on the new hugelkultur bed... I am starting a new one this year too and all the stuff I have been reading about it says it needs extra nitrogen added the first year since the beginning stages of the rotting wood soak up the nitrogen from the surrounding soil. I would think that the beans will take care of themselves regardless of what nitrogen is in the soil so you should still be good. It appears that this is mainly for women, lol! But you have such great information her! I hope you won't mind an old farm boy following. @Charlotte - I so agree about feeding the soul and tummy! In the midst of a bad day, I'll step into the garden and everything is okay. @Panamamama - How fun! Happy growing. @Betsy - I hear ya. I'll think of a post for "non-gardeners" or beginning gardeners. For now, if you've got rocks or sticks around the yard, I'd do a simple raised bed with those or pick up some big pots, wine barrels or horse trough (you could probably find some on CL in Morgan Hill, etc) and plant in those. In my experience, the biggest detriment to a new garden is water so put it near a hose or the back door so you can easily water it. Pumpkins are great, rarely fail and are fun for kids. Peas are good too but more of a cool weather vegetable in our neck of the woods. @artemisinva - Thank you for the tips on the Hugelkultur. I'm so excited to try this new type of bed. I've had so much success with the sheet mulching that I figure this should work just as well if not better. @Clint - Lol, Clint. We've been meaning to change that tag line to People and not Women. :) Please follow away! I've always pictured a Hugelkultur bed as a massive thing...you've opened my eyes to the possibility of a small one. In fact, I've been trying to think of a way to shelter my bee hive from the prevailing wind and feel that a small hugelkultur mound could work. 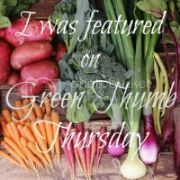 And I could get some extra veggies from it to boot! @Tanya - All those Hugelkulturs they show in photos are SO huge! Why not smaller? :) Hope your bees enjoy. I have been reading more about "HUGELKULTUR BEDS", I may have to try this out myself, I had never heard of it before. Don't they sounds super cool, Clint. I'll be interested to see if you try one and to see how my itty bitty one does. 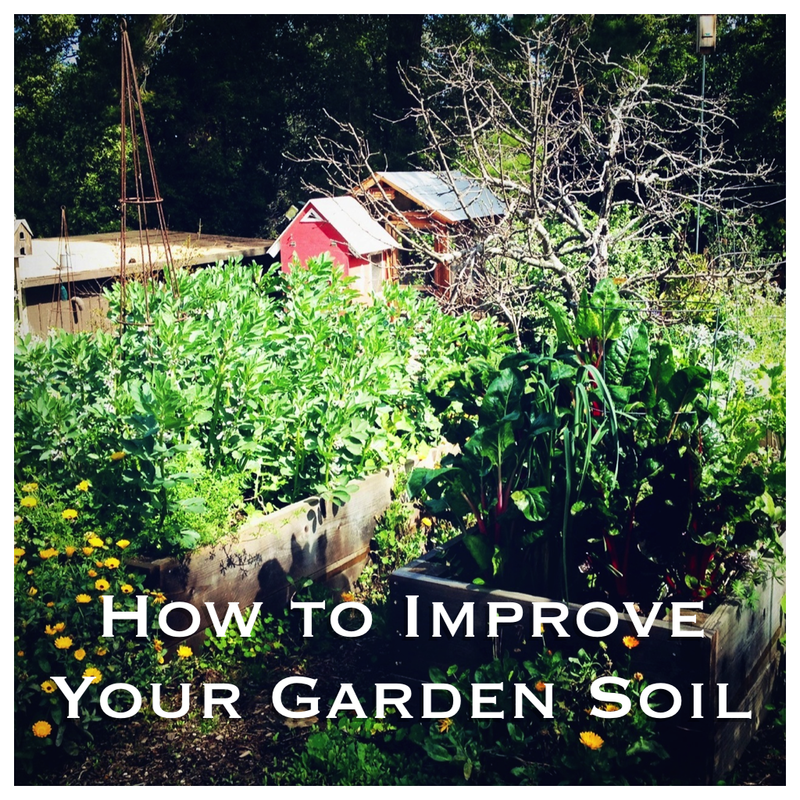 This is great advice on building up garden soil. I have never thought of using fava beans as a cover crop, but I love to eat them so I will have to try that this fall. I also love your super tall raised beds. Ha, ha. The first thing I did when I moved here was build my raised waist-high garden bed. What a difference. I feel pampered. Have used both the lasagna method and the French intensive -- both require very little back-breaking work and the garden just refuses to stop providing foods. This is my time of year for making my 'birthing sheets' and that's kept me pretty busy. Spring just comes so fast! Great post. Come visit when you can.